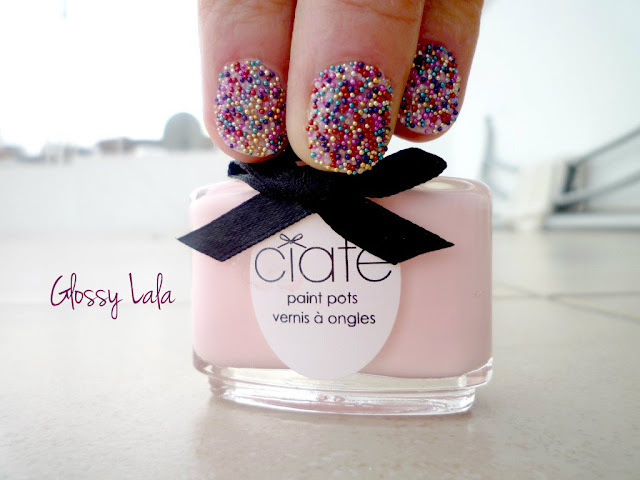 Caviar Manicure Ciate - Be Glossy In and Out! I wanted so much this caviar set therefore I bought it. 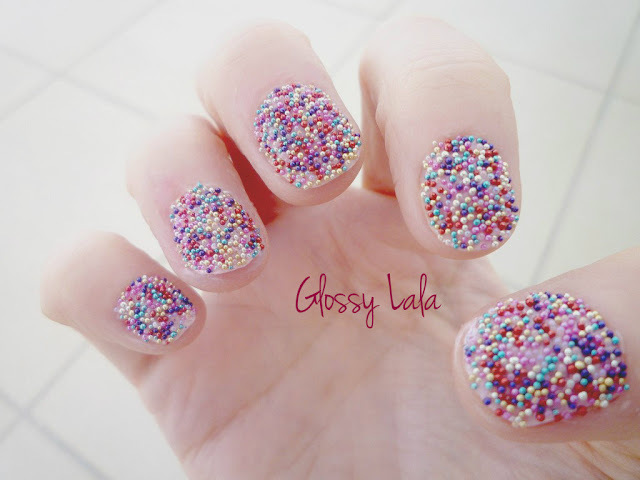 It is a perfect manicure for a special event but not to wear everyday because you can`t do anything, or if you do, you risk to run out of pearls, as it happened to me while typing. The price is pretty high, 18 pounds. You have to work on each nail. First you apply a layer of nail polish, let it dry, then apply the second layer of nail polish and immediately sprinkle the caviar pearls over your nail. Do not forget to place your finger over the tray in order to retrieve the pearls. After sprinkle the caviar pearls gently press with your finger to ensure durability. Do not apply top coat, I tried and the caviar pearls colored each on other. Hope you like it, do not forget to like me on facebook . Superba manichura! Imi place foarte mult!!! thanks for your comment! of course we can follow each other! we follow you now hope you can follow back!! Thank you for your comment in me blog. Follow you, hope you will follow me. Hi girls! (I've read you're two Laura's)) thank you for your comments and follow! Sorry I couldn't comment right away, Disqus doesn't work on the old-fashioned Explorer we have at the office. I love your blog! Very interesting read. 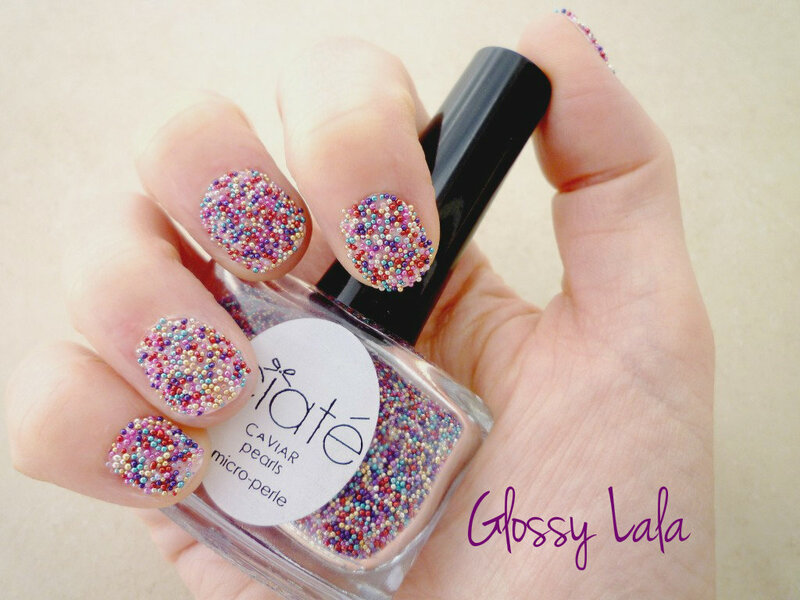 This post has good advices - it made want to get back to painting my nails! Great job! Your nails look fabulous! Sticlutele de oja sunt atat de cute!! great post! your nails look awesome! Thanks for your sweet comment on my blog btw dear! Great idea to follow each other. Follow your right now with GFC! Wating for you! 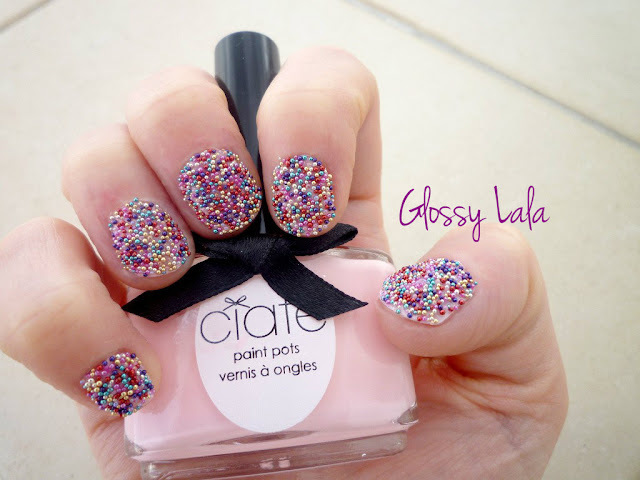 Woooow the nail polish looks like the sparkles on a soft ice cream, you know? Asa este, precum am mentionat, nu este o mani foarte practica, doar pt. un eveniment special si atat. Este frumoasa, dar nu tine mult. Thanks, I followed back. Great blog!! Thanks, glad you like it Demi!! Ma bucur ca-ti place!!! Ai un blog grozav!! Stiu, au aparut tot felul de variatiuni pe aceeasi tema, se gasesc acum si mai ieftine si prin magazine si online, dar sa stii ca nu se compara cu originalul. In curand voi posta si varianta cheap si este diferenta mare si ca dimensiune si ca stralucire etc..
Super. Am incercat acest tip de manichiura la Gaal HairPlay si efectul este uimitor. Cine vrea sa iasa in evidenta trebuie sa incerce Manichiura Caviar.